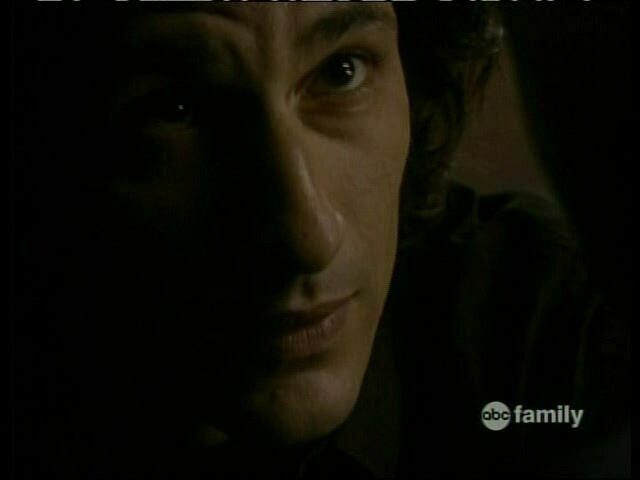 So here we are at the penultimate episode of ABC Family’s Kyle XY. It’s been a fun journey so far, and we’ve got only one episode left to go. First, we continue to get Josh and Andy’s prolonged goodbye. Andy reveals to Amanda that she isn’t leaving in 3 days, but tomorrow morning. Josh does not know this until after he goes all out with a Star Trek themed private party on the patio of The Rack. They decide to make the most of their last night together and head back to the Trager home. Stephen sees Josh and a dress skirt stuck in the door of his room, realizes what is going on and lets them be. Declan and Lori are enlisted by Kyle to try and find more information on Cassidy by inviting their respective new girlfriend and boyfriend to The Rack. Lori awkwardly tries to be nonchalant about the situation, but Declan takes over. After Kyle and especially Jessi’s emotional journey last week (which was one of the series’ best episodes ever), she needs him more than ever. She has vengeance on her mind against Cassidy, who may or may not have killed her mother Sarah. Nicole approaches Kyle about seeing him and Jessi kiss the other night. While she isn’t surprised, she tells him she’d rather they not pursue that kind of relationship since they’re both living under the same roof, basically implying it’s feels weird since it’s like they’ve adopted both into their family. Jessi overhears their conversation where Kyle admits he doesn’t know how to deal with his newfound feelings for her, but agrees to Nicole’s request. Cassidy, meanwhile, tells Nate to work with Kyle on a project. Kyle reluctantly agrees to do it and after he easily solves the problem that others have worked months on, Nate becomes even more amazed and suspicious. Later, Nate brings Amanda to his dorm room. He goes to get her a soda and as she looks around his room, she knocks over a stack of papers and books, the papers being the files of Adam Baylin and the pouch with Sarah’s ring that Nate had taken from Cassidy’s vault. Back at the Tragers, Lori attempts to “read” Jessi, sensing she’s thinking about a guy. Lori says one wrong thing after another and Jessi tells her to leave. In the kitchen, Nicole suggests to Kyle that they invite Cassidy over for dinner to help him gain even more trust in Kyle, allowing him to possibly open up and get insight into Latnok’s true intentions. Kyle doesn’t want Lori and Josh to be at the dinner. Jessi comes in and says she’ll be present, but Kyle is against it, noting how Cassidy is uncomfortable (and really, more suspicious) of Jessi, especially after Nate tells him that she was snooping around his office. Jessi feels like no one cares for her, that everyone is against her when she’s done nothing wrong. The night of the dinner, as Nicole, Stephen, Kyle, and Cassidy try to make conversation, Jessi comes walking into the house and straight to the dining room. With a very noticeable tinge of anger in her voice, she asks if there is a place for her at the table. As the dinner progresses, the tension rises until Jessi comes out and accuses Cassidy of her mother’s death. Kyle tries to calm her down, but it doesn’t work. Cassidy then comes out and tells the Tragers about Jessi’s first night out of the pod. He’d received a package the other day with the video and news reports of the night Jessi killed the hunter in the woods who had tried to come at her. He sets out to make Jessi seem like a hostile, unpredictable murderer in an effort to scare Stephen and Nicole into doubting the girl they’ve taken into their home. Jessi defends herself saying that she was only defending herself from that man that night. She runs out of the house and Nicole and Stephen chase after her, but can’t catch up. Kyle tells Cassidy that they should meet somewhere after dinner to talk more and they agree to meet at The Rack. Later, Cassidy arrives to a dark, closed coffee shop where Jessi is waiting. She uses her power to literally twist the insides of Cassidy until he admits the truth. Kyle arrives and tries to stop her, but she is bent on getting avenging her mother’s death. Cassidy gives in. came after him, and he only defended himself. This sets Jessi off even more and just as she was about to give the final twist, Kyle hurls her towards the wall behind the counter. She crashes into the wall and onto the ground. Kyle is horrified. He runs to her, now unconcious. Cassidy checks for a pulse, he doesn’t find one. Kyle tries to shock her back to life, it doesn’t work. He doesn’t know what to do. Cassidy then tells Kyle they have to get out of there. A terrified Kyle is led out of The Rack, leaving Jessi on the floor. With the two gone, another figure comes walking towards Jessi. We find it is Tom Foss. He tells Jessi they’re gone and she gets up, unscathed and unfazed. It was part of their plan all along. Foss assures Jessi that he’ll take care of whomever Cassidy sends to clean up the mess. Jessi heads home to a worried and waiting Nicole. She hugs her and is elated that Jessi is safe, but still worries about Kyle. Nicole reaffirms that she will always be there for Jessi, no matter what. She is appreciative. Meanwhile, Kyle keeps up the ruse. Cassidy tells him that he’ll take care of The Rack and Jessi and make it seem as if nothing had ever happened. As far as they’re concerned, Jessi has left town and is never coming back. He asks Kyle to trust him. Kyle realizes he’s pretty good at lying, and says that he does. 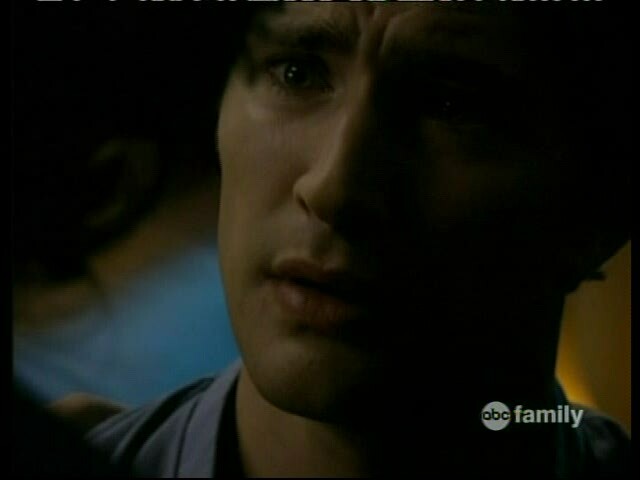 nd so, next week, the final episode (too soon) of Kyle XY. While we most certainly will be left with tons of questions thanks to ABC Family’s late cancellation, it should be a very bittersweet end to what has been an amazing series.